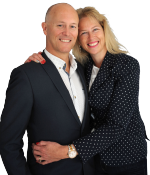 Hi, we're Greg and Fiona Scott, The Laptop Lifestyle Experts, and authors of double award winning, best-selling book Living a Laptop Lifestyle. Having harnessed the internet in 2009 to replace our comfortable corporate salaries, we chose to help and inspire people like us, to create their own lifestyle of design by leveraging the internet. Since the end of 2012 we've mentored and motivated over a thousand people, of all ages and from all corners of the globe, to build and scale up their own online businesses, to live life on their terms. We’ve re-educated a wide range of people, from those who generate their first $1 online, through to people who earn tens of thousands of dollars online each month. In short, we help people unleash their inner entrepreneur to unlock infinite income. And the diverse group of people we’ve mentored include young couples like Jan and Alicia who recently made their first sale online, through to serial entrepreneurs, Shawn and Kelly, who made $40k in their first 3 months. So if you’re looking to change your life, and you’re willing to put in extra effort and energy to do so, simply enter your name and email address in the box on the top right right hand corner to GET INSTANT ACCESS to our complimentary digital marketing video training series – and discover if an online business is the change you need to see in our world. Once you enter your details on the top right, CLICK HERE to schedule a complimentary consultation session with us – and discover exactly how we can help you. Here's to living your laptop lifestyle!